The trees can detach, exposing a metal screw, which could pose a laceration hazard to young children. This recall involves about 500 painted wooden toys with beads that slide on a curved metal track. 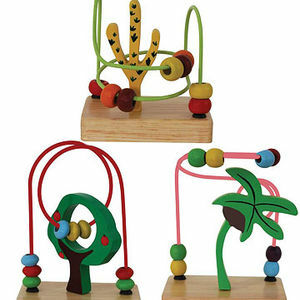 The product was sold in three styles: the Apple Tree Bead Maze, the Cactus Tree Bead Maze, and the Palm Tree Bead Maze. Toy retailers nationwide from August 2008 through October 2008 for about $13. Immediately take the recalled toys away from children and return them to the retail store where purchased for a full refund. For additional information, contact ImagiPLAY at (800) 882-0217 between 8 a.m. and 5 p.m. PT Monday through Friday, or visit their Web site at www.ImagiPLAY.com.